You will find here Hastelloy composition, Hastelloy properties, Hastelloy density, Hastelloy melting point, Hastelloy welding procedure, Hastelloy equivalent, Hastelloy uns, Hastelloy corrosion, Hastelloy temperature range, Hastelloy machinability, Hastelloy price, Hastelloy specification, Hastelloy physical properties, Hastelloy resistivity, Hastelloy maximum allowable stress, Hastelloy magnetic properties, Hastelloy maximum temperature, Hastelloy weldability, Hastelloy weight calculator, Hastelloy designation, Hastelloy corrosion resistance in seawater, Hastelloy allowable stress, Hastelloy annealing temperature, Hastelloy brinell hardness, Hastelloy heat resistance, Hastelloy fatigue properties and lots more. HASTELLOY B-3 alloy is a member of the nickel-molybdenum family of Hastelloy alloys. Hastelloy B-3 is the alloy in the Hastelloy family that shows best resistance to hydrochloric acid. HASTELLOY C-276 alloy is a nickel-molybdenum-chromium wrought alloy that is generally used as corrosion-resistance. Hastelloy c-276(Hastelloy C276) is among the more well known Hastelloy grades for general corrosion service. 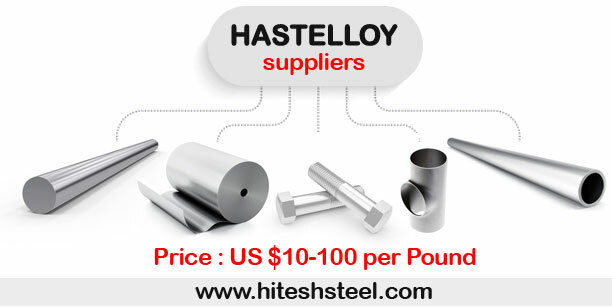 Hastelloy C-276 alloy is an improved wrought version of Hastelloy alloy C.
HASTELLOY C-4 alloy is a nickel-chromium-molybdenum Hastelloy alloy with good high-temperature stability. The Hastelloy C-4 is an Hastelloy grade, that resists the formation of grain-boundary precipitates in weld heat-affected zones. Hastelloy C-4 alloy also has excellent resistance to stress-corrosion cracking and to oxidizing atmospheres. Hastelloy C-4 is also used in a varity of chemical process environments. Hastelloy G is an nickel-chromium-iron-molybdenum alloy developed for corrosion resistance in both oxidizing and reduceing media. Hastelloy G shows good resistance to sulfuric and phosphoric acid. Hastelloy G may further handle both acid and alkaline solutions. HASTELLOY X alloy - a nickel-chromium-iron-molybdenum alloy - has been developed to combine oxidation resistance, fabricability and high-temperature strength. Hastelloy X is also It has also been found to be resistant in petrochemical applications. The Table Below shows the Chemical Composition of Hastelloy. Our super special steel products including Hastelloy are suitable for Plant manufacturing, Machine engineering, Power generation and Powerplant etc. We are supplying best quality Hastelloy to our clients globally. As a stockiest of Hastelloy Materials, we have been successfully catering for the needs of the Oil & Gas, Aerospace, Nuclear Power industry in USA, UK, Canada , Australia, Israel, China, Russia, Sweden, Netherlands, France, Germany, Italy, Singapore, South Korea, Malaysia, Turkey, Indonesia, Mexico, Spain and Saudi Arabia etc.